Makerere University Vice Chancellor, Prof Barnabas Nawangwe. 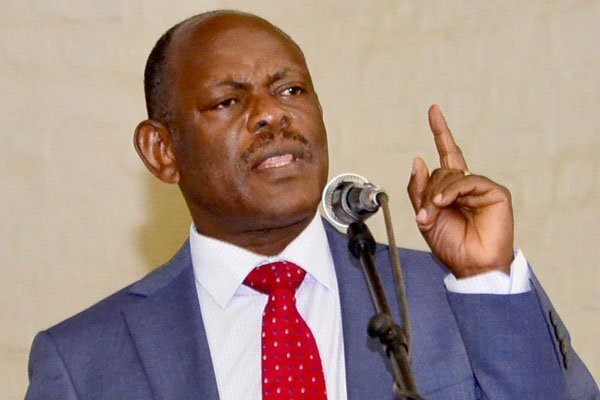 In yet another interesting development at Uganda’s most prestigious University, Makerere, Vice Chancellor, Prof Barnabas Nawangwe, has instructed staff at the College of Agriculture and Environmental Sciences (CAES) to return to class, saying an “illegal” strike is no excuse for not teaching. In a statement by the Vice Chancellor (VC) on Tuesday, he said no lecture at CAES has ever been conducted since the start of this semester over three weeks ago. He said that the explanation given by the College’s Principal, Prof Bernard Bashaasha – that the failure to teach by the lecturers is as a result of a purported strike by the Academic Staff Association (MUASA) – was not genuine since neither Council nor Management has been notified on an ongoing strike. Now, Bashaasha says he has been directed by Prof Nawangwe to convene a meeting with staff at CAES to discuss the said industrial action. “As you may be aware, yesterday’s joint MUASA/MASA/NUEI Assembly resolved to maintain the current industrial action until Thursday 14th, 2019,” Bashaasha wrote to the CAES staff on Tuesday. “I have now been directed by the Vice Chancellor to convene a college meeting and communicate the College decision by 2:00pm today February 12th, 2019,” he said. The meeting is expected to be currently underway in the Biology lab, Agriculture building at the University. The standoff at Makerere University stems from the suspension of some leaders of the academic of the academic and administration staff by the Vice Chancellor, over different accusations including misconduct and incitement to cause violence. 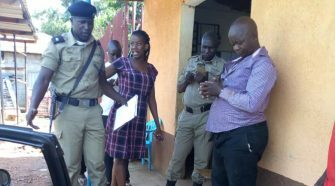 During the Joint Assembly by the staff Associations on Monday, members of staff complained about the intimidation by the university Administration which has repeatedly coerced lecturers on strike to return to class. The Vice Chancellor’s directive to CAES comes a week after the university’s Director Human Resources, Andrew Abunyang issued a circular to all Principals, Directors, Deans, Heads of Departments (both academic and administrative) and members of staff threatening punishment of defiant staff. He asked Heads of Departments for both academic and administrative staff “to conduct a head count to establish the members of staff who have not yet resumed their duties and report to the Director, Human Resources” by Tuesday last week. “All staff who will not have reported for duty by 8pm on Wednesday 6th February 2019 will be considered to have absconded from duty and their case will be handled with the applicable laws and policies,” the Director Human Resources added in the circular dated February 5. It should be recalled that in December last year, the Makerere University Vice Chancellor sacked over 40 staff including the controversial researcher, Dr Stella Nyanzi, for among other reasons absconding from duty.